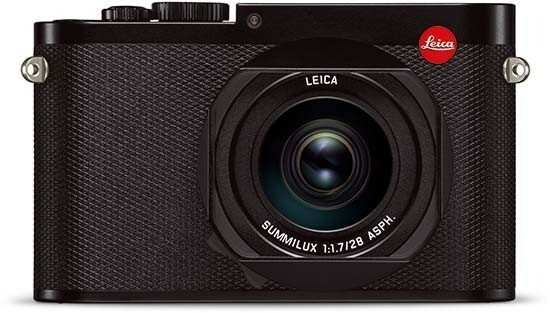 The Leica Q (Typ 116) is the best serious compact camera that Leica have ever released, offering fantastic image quality, great handling and build-quality, and a number of surprisingly innovative features which include very fast auto-focusing, although it's also the most expensive too. Offering a unique combination of a 35mm full-frame sensor and fixed 28mm lens, the Leica Q's natural rivals are the now ageing Sony RX1 and RX1R, but they don't offer such a wide or fast lens, a built-in viewfinder, or a touchscreen interface. The Fujifilm X100T is a much cheaper rival, but that uses a smaller APS-C sensor and again a slower 35mm lens. The Leica Q (Typ 116)'s fast f/1.7 lens, complete with built-in OIS, is very welcome, making it easy to capture sharp images in low-light, capturing better bokeh effects, and offering a useful close focusing distance of 17cms in the Macro mode. The ability to quickly switch from manual to auto focus simply by turning the focusing ring is also a great addition, as is the ability to set the aperture by the dedicated lens ring. The surprising icing on the cake is the Q's excellent auto-focusing system, which despite being contrast-based is easily the fastest of any Leica camera that we've tested and up there with the best mirrorless cameras currently on the market, only faltering slightly in very low light. Image quality is excellent, with lovely colour rendition, bags of detail thanks to the full-frame sensor and no optical low-pass filter, and good noise performance from ISO100-3200, with the faster ISO settings proving usable too.